This free 23-page booklet is full of practical advice and tips for improving your paper modeling. 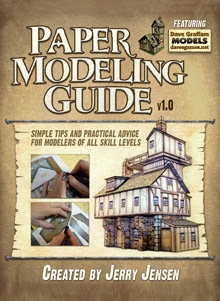 It's written for paper modelers of all skill levels, offering basic advice along with advanced techniques. 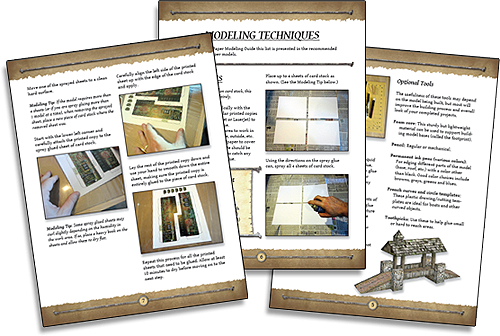 While most of what you'll find inside can be applied to paper models of all kinds, the Paper Modeling Guide focuses on getting the best results from Dave Graffam Models in particular. To get started in this awesome hobby right away and start building paper game terrain, pick up this modeling guide and a free model such as the Hovel, Coach House or Observatory.